"AOL Inc. and Digital Sky Technologies Limited, the largest Internet company in the Russian-speaking and Eastern European markets, announced today that they have reached an agreement for DST to acquire ICQ – the leading instant messaging service in Russia and a number of other international markets – for $187.5 million. ICQ was created in 1996 by the Israeli company Mirabilis. AOL acquired the assets of Mirabilis, primarily ICQ, in June 1998. Available in 16 languages, ICQ has more than 32 million unique visitors per month. * Approximately 80 percent of ICQ users are between the ages of 13 and 29 and spend an average of more than five hours a day connected to the service, according to internal data. ICQ has built a successful presence in markets like Russia, Germany, Czech Republic and Israel..."
"Remember in December 2009 we told you Microsoft were planning a Windows Live Messenger app for iPhone? Well today we can reveal a little bit more. Today we can exclusively unveil the first official screenshots of Windows Live Messenger for iPhone. The application will arrive in June alongside the rest of Windows Live Wave 4. According to our sources, Microsoft will unveil the next generation of Windows Live Messenger tomorrow but will not ship bits to public beta until June. A limited private beta is expected to take place in May. 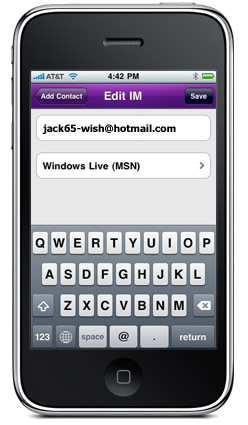 Windows Live Messenger for iPhone will include photo sharing, chat and a social stream for users." 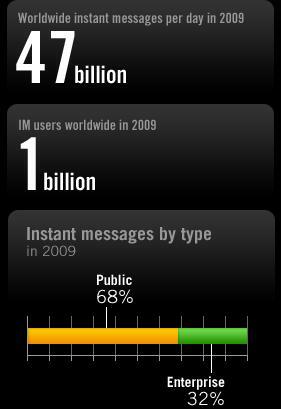 "Instant messaging. We all use it, whether it be Skype, Windows Live Messenger, Yahoo! Messenger, or some other IM client or platform. We’ve come a long way since the days of ICQ, when IM as a phenomenon really took off. IM is now such an intricate part of our experience of the internet that we thought an infographic on the subject was in order. Enjoy!" "While the air traffic situation in Northern Europe gradually begins to return to normality, a lot of you around the world will still be spending more time than usual at airports. To help you stay in touch with friends, family and colleagues Skype is making Skype Access, the one-click WiFi access feature, available for free at over 100,000 hotspots worldwide from midday Wednesday this week until the end of Friday 23 April. We’re removing the normal charges made for Skype Access until the end of the week so that you can surf the web, email and make free Skype-to-Skype voice and video calls at over 100,000 WiFi hotspots in cafés, hotels and airports worldwide – including the vast majority of international airports..."
Cerulean Studios just released a new beta of their popular instant messaging application Trillian, adding direct replies to emails and tweets via notification popups, instant URL previews and more Wikipedia data for quick lookups. The new beta release alsı has better Windows Live support, a new history feature for browsing through sent and received images, improved skinning and faster setup. * Windows Live. Trillian now supports signing in to WLM from multiple locations! File transfer speed has been improved (more to come), and mobile messaging is now supported. * Notifications. You can now use notifications to directly retweet, reply to a tweet, and interface with mail right away. * MetaContact Windows. When talking to a MetaContact, if you receive a message from another of their usernames the window will automatically switch for you. * Instant Lookup for Hyperlinks. Move your mouse cursor on top of links to preview. Youtube links will show a preview image, too. Great for detecting NSFW links before you open them in browser, and will even resolve shortened links for you! * Instant Lookup for Popular Terms. We now have more up-to-date Wikipedia data, and more relevant links for each popular term detected. * Activity History. A polished look and powerful new asset view feature that lets you browse through images sent and received help improve history. * Quicker MetaContact Creation. You can now drag and drop one contact on top of another to instantly combine them into a MetaContact. * Other Updates. Support for Twitter’s new retweet mechanism, Twitter Lists, a customizable timeout for notification windows, and the return of custom avatar support. * Skin Packs. Emoticon and Sound Packs have been moved to a more prominent location in preferences and are easier to change on-the-fly. You can also change contact list icons now with the new Icon Packs. * Faster Setup For New Users. We’ve tidied up some of the screens in the installation wizard so new customers can get started more quickly than before! 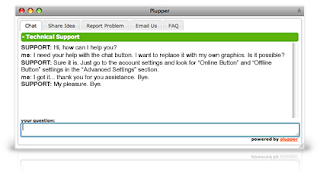 Trillian 4.2 Beta is a free download for Windows. Remember that 4.2 is still beta and will contain bugs and crashes. Replay Telecorder for Skype allows you to record any Skype conversation (phone calls, video chats, conference calls, voice mail) with just one click. You can choose to record video or just audio. Video calls can be saved five different ways: picture-in-picture, side-by-side, local webcam only, remote webcam only or as two separate video files. 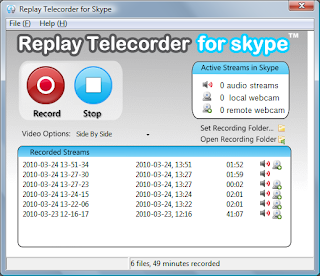 Unlike other analog style recorders, Replay Telecorder is a digital recorder which means your recorded file will be a perfect reproduction of your call. 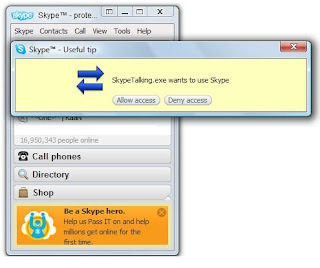 Just open Skype, place your call and then click record on the Replay Telecorder user interface. To playback a file just double click on the file in the user interface or visit the recordings folder. 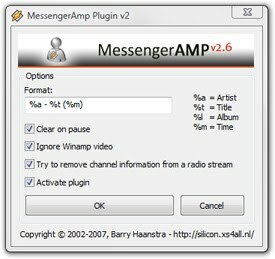 MessengerAmp is an advanced but easy to use MSN / Windows Live Messenger 'Show what I'm listening to' plugin. 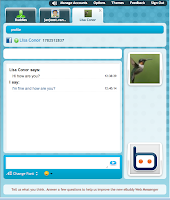 Jabbim is an Instant Messaging service that allows you to send messages to your friends in almost-real time. Jabbim is based on the XMPP/Jabber protocol. 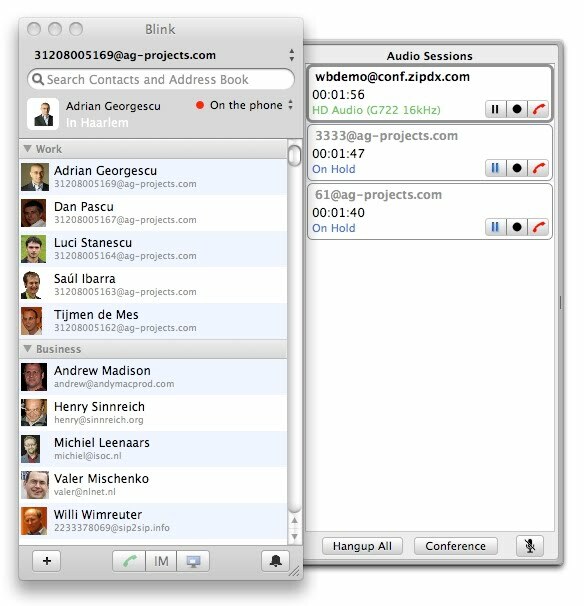 Users can chat with users of other modern IM servers, like Google Talk, LiveJournal Talk, WP Spik, Gizmo Project, Tipic IM, Jabber.org and many others. Moreover, users can access non-XMPP networks and communicate with their users via the gateways. 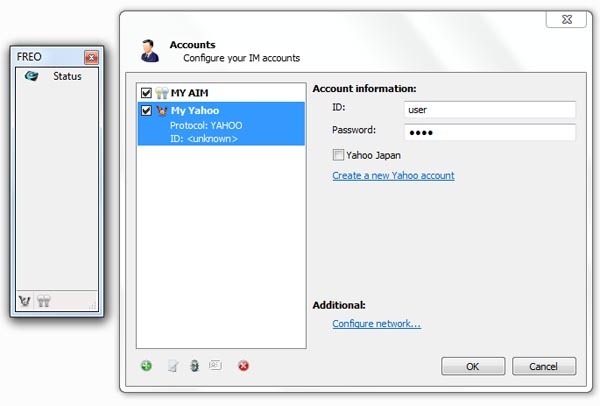 Jabbim offers access to the closed networks like MSN, AIM, Yahoo! IM, ICQ, Gadu-Gadu as well as to the IRC. You can use Jabbim services with your PC or mobile phone. "As you may be aware, we have been releasing new versions of Yahoo! Messenger for iPhone quite regularly to give our users quality experience on the iPhone. It is our hope that users will upgrade to the latest versions as time goes by. In an effort to maintain our high quality and security standards, we will officially retire the Yahoo! 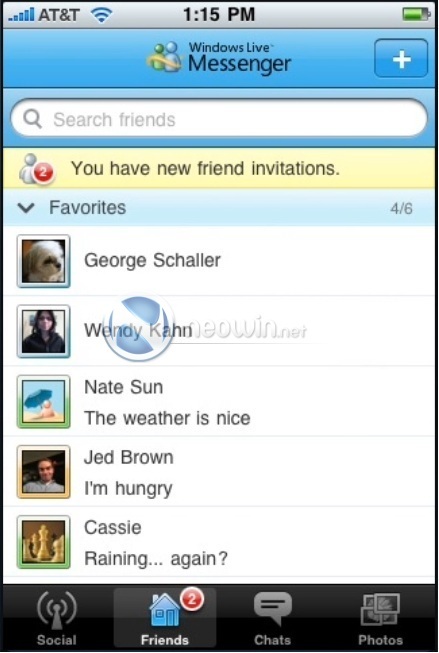 Messenger version 1.0 for iPhone and iPod Touch on June 15th, 2010. This means that if you are currently using this version on your iPhone or iPod Touch, then you will no longer be able to sign in and use it after the retirement date of June 15th, 2010..."
"Last November Google acquired Gizmo5, a VoIP service that competed with Skype by making P2P VoIP calls as well as making and receiving calls with POTS (normal landlines) and mobile phones. Gizmo5 fills some of the holes in the Google Voice product, particularly providing an endpoint for calls. Currently Google Voice users must assign their Google Voice phone number to an actual phone to make and receive calls. Google never commented on how they might use Gizmo5’s technology. But we’ve confirmed that they have now built a Google Voice desktop application to make and receive calls. From a user perspective, this will let Google Voice users take calls right from their desktop." Skype Talking provides access to Skype by reading incoming and outgoing Skype alerts using speech and refreshable Braille display. 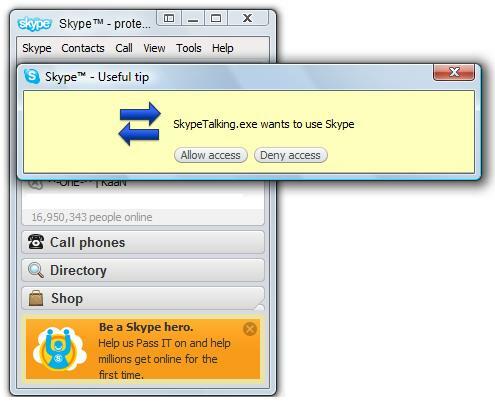 This application uses Skype API and your screen reader's API to provide access to Skype. It reads incoming/outgoing Skype alerts, such as online statuses, incoming calls, and incoming/outgoing chat messages by using Skype API and your favorite screen reader. Vacuum-IM is a useful application that was designed to provide you with a simple means of getting in touch with your friends. The core program is just a plugin loader - all functionality is made available via plugins. This enforces modularity and ensures well defined component interaction via interfaces. tweet.IM is a free service that enables you to use micro-blogging platforms like Twitter from your existing instant messaging application. The service makes it easier for you to send messages (called tweets), as well as follow the tweets of other users. The tweet.IM service sits between your Jabber or Google Talk instant messaging account and your Twitter account and passes messages to and from, in both directions. As a result, you can create Twitter messages in your instant messaging application and send them direct to Twitter, without having to enter your Twitter account. You can also elect to receive tweets from users that you follow, directly in your instant messenger. MSN Emoticons To Gif application was designed to be a small tool that will allow you to backup or save or convert Windows Live (MSN) Messenger custom emoticons to GIF files. You can browse all your MSN Messenger custom emoticons, and save them to your hard disk for backup or any other purpose. "Now when you’re on your iPhone, your Windows Live friends will be able to see when you’re online, and send and receive messages from them. You can also add new Windows Live friends right from the app. In addition to supporting Windows Live conversations, we also added more languages in a prior release. Those of you who speak French, German, Italian, and Spanish can enjoy Yahoo! Messenger for iPhone in your native tongue. If your iPhone is set to one of those four languages, Yahoo! Messenger for iPhone will detect that automatically and load the same language." To download the new version, tap the App Store icon on your iPhone and search for Yahoo! Messenger (you may also see an update alert on your App Store icon). Plupper is an integrated single point of contact software which makes the communication with customers or web page visitors simple. 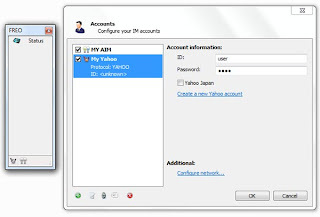 It allows you to connect using Google Talk, Pidgin, Adium, iChat, Psi, Miranda, Trillian, IM+, Meebo or with any of XMPP/Jabber client and chat with your website visitors right away. Only one simple piece of HTML code is required to be inserted into your site and your website visitors can start chatting with you. All communication is transmitted over a secure 256-bit SSL encrypted connection, which protects your privacy and keeps your conversations confidential. Plupper Widget is currently available in: English, Spanish, Finnish, Russian, Czech, Italian, Slovak, Lithuanian, Chinese, German, Portuguese, Danish, French, Bulgarian. A new version of the the popular mul-procotol web messenger service, eBuddy, will be available to users from April 6. eBuddy currently supports MSN, Yahoo, Gtalk, Facebook, ICQ, MySpace and AIM (AOL). I had chance to test this new version before release. First of all new eBuddy is a lot faster, reliable and it has a modern and customizable look. New colored windows looks more elegant and smooth. The tabbed interface improves navigation, conservations are easier to follow. The new jQuery structure allows you to change settings, themes and account options a lot faster. The official release of new Ebuddy will be on Tuesday, the 6th of April, around noon (CET). Blink provides Instant Messaging and File Transfer functionality based on SIP SIMPLE standards. 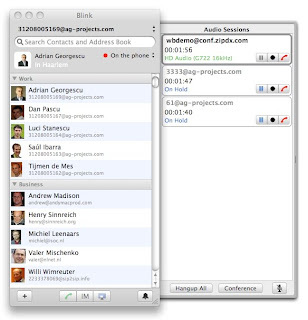 Blink implements RTP audio sessions (VoIP), session based Instant Messaging (IM), file transfer and multi-party chat sessions using MSRP protocol and its relay extension, desktop sharing using VNC protocol, publication and subscription for rich presence information, management for the presence rules, resource lists and RLS services documents using XCAP protocol. Blink is currently available for MacOSX only, but it will be out for Window and Linux soon. 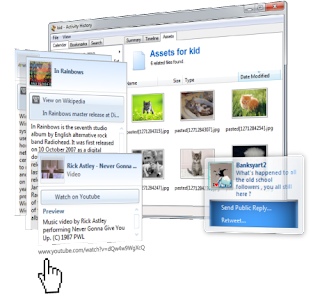 Freo Messenger is a free user-friendly instant messeging client that supports AIM, ICQ, IRC, MSN and Jabber networks. You will be able to chat with friends, make free voice calls, share a webcam, listen to online radio stations and share files. Additionally it provides a plug-in system that allows you to include other popular instant messaging protocols such as Gadu-Gadu, Yahoo, Netsend, Skype, and more which make it virtually an all-in-one messaging app. It also includes additional features such as a photo sharing, custom skins, chat transcript archives, clock, weather and an RSS feed reader. Freo consume very few resources while offering speed and numerous options.